Not knowing what your budget is like I'd suggest getting them both. Sooner or later your curiosity will get the better of you. Variety is the spice of life, IMHO. I like them both equally, not a lot of difference between them that I can tell. When I finish one I'll pick up the other on the next order. Welcome to the white side, Not too long ago just a few years in a land far away, White Elephant was difficult to obtain and rather pricy. since it was only sold in ten can packages . I had wrote my review on a partial can i got in a trade. Since then, batches have changed. She still has a good kick in her or maybe that sample had got stronger. Any how ,shaman recommended you get the big can or two especially when you can save on shipping. If the wife complains just blame me. @basement_shaman Yeah, I was thinking at least one of the large Elephant tins. Is there any difference in taste? I never got the "fishy" scent people mention when referring to the Dholakia. More of a "sweat" smell, but not in a bad way. I guess it would be hard to describe to someone who hasn't tried it, wouldn't it? They do taste very slightly different, the Dholakia is a little bit sharper and more vinegar-y. But only if you're looking for differences. They are pretty interchangeable, to be honest. 6 Photo Cheeta has a distinct touch of perfume that makes it different from the other two. 6 Photo Cheeta should be added to the powerful whites category. Also Cheeta Chhap Gul. Serious stuff! that dried shrimp smell is not only in white snuffs but it doesn't fade. Like the next morning you feel like your whole apartment smells like shrimp or one time I woke up with a clogged nose blew it smelled that and assumed I had some terrible infection. Like the white snuffs still though. Though the only way I can take them is to just stuff them instead of snuffing them. I prefer the WE, to me it does not taste like shrimp. Find DW to be more bland. Of course it could be the batches I have had. However, the WE had gotten rather pricey, even in the 150g tins. Looking forward to try JNF (Janta Naswar Factory) White Horse, I hope the price will be sane and stock solid. I am still continuing the boycott of WE's astronomical cost. Meanwhile DW stock is melting fast, all small tubs (10 and 25 g) sold out already, only 23 large (50 g) left. Last chance to grab some! Dholakia White Special Order with different Flavors and Ingredients as per Clients requirements in Bulk Quantity. Yeah, what are these different flavours? The names are visible but cant tell the exact flavour. 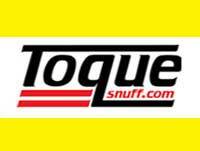 This forum will buy any white snuff you put on the market, as long as it's tobacco based! Am i missing any other whites btw? @peacock Dholakia has just released four new white snuffs. Scroll five posts up and you'll see them. @volunge Not sure about them being new releases. Think these are for their Mongolia and Tibet markets. All the White Snuff lovers may give a try to our White Horse. We hope that you guys will like the White Horse as much as WE or Cheetah. Give them all a try. Where I live the cheapest packet of cigarettes is 13 dollars CDN per pack, and a pack lasts me a day or two. You can't go wrong with nasal snuff money-wise. 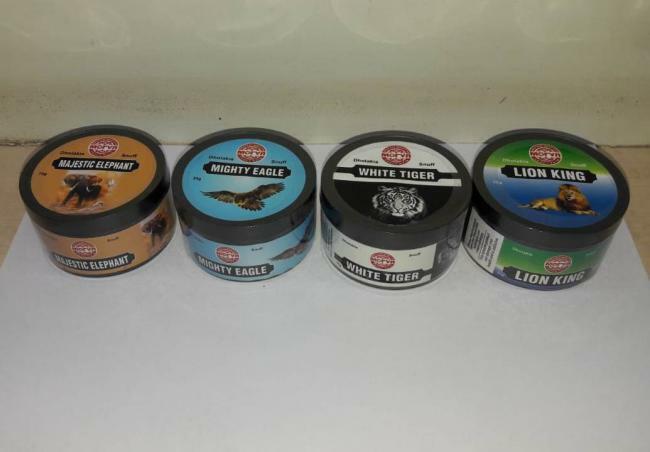 Cigarettes are expensive everywhere, and people should switch to Snuff from smoking, as it is harmful to health as well as for the environment. 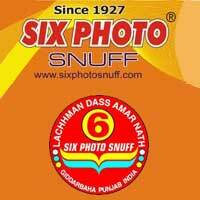 @indiansnuffjnf @Amanda I cannot figure out how to buy your products on MrSnuff. Searching for "white" or "horse" didn't bring up your White Horse, and the drop down for Indian snuff doesn't show JNF. There is a problem at MS, we have messaged them to resolve this issue as soon as possible. We appreciate you patience and cooperation. Yeah. What the HELL man?1?!!? The problem has been solved, you can find our snuffs in Indian Snuff category of MS.
Just click on the Indian Flag, you'll see our category named as Janta. You may please order and tell the reviews. Hi @ar47 the problem has been resolved and you can now click on the Indian flag under Nasal snuff category and you should see all the items from JNF. I actually like both, even though I find them very hard to take. To me the DW has a slight fishy scent to it, but I love it!! @Konrad_von_Marburg We are also eager to hear the reviews about White Horse, and how it is comparable with the other White Snuffs. Very pale color. More of Cheeta (non Gul) hue than WE's light tan. Next to Cheeta they look very but not exactly similar. Tin is sold as 40, comes in a tin that could probably fit 60+ with 15% air which is nice as I find snuffs better when fluffed, and whites much easier to take that way. I've been enjoying 41P WE steadily each day for a while now, and JNF has a stronger upfront nose feel than WE. Aroma is lightly perfumed. Distinctly Indian but not invasive. When pulling a little too far there's an unusual bitter, numbing flavor in the mouth. But I havent got myself coughing after a couple handful of pinches here which always happens with Cheeta. Easiest to take Indian White in my short experience so far and near if not at the top for strength.